If you're on Facebook, I assume you've seen the symbol above. 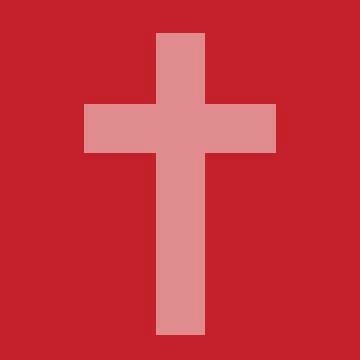 It symbolizes supporting marriage equality. 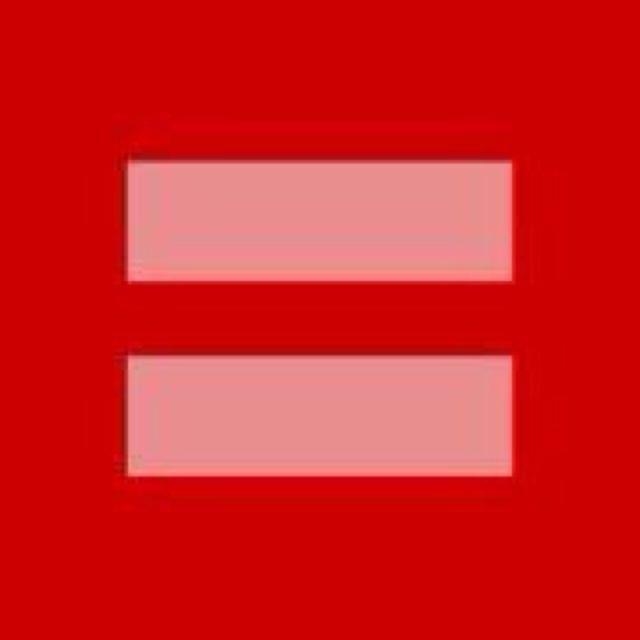 I didn't put the above sign on my FB page, but I support marriage equality. I think God made ALL humans in His image, not just the straight ones, and I don't think it's a sin to be gay. I don't understand how anyone can consider loving someone to be a sin. That just doesn't make sense to me. And I don't think gay people being married affects my marriage in any way at all, just like straight people being married for 55 hours doesn't, or people divorcing 8 times doesn't. I saw the below symbol posted in my FB feed by a friend and I honestly felt like I was just punched in the gut. And then I felt embarrassed by my reaction to this symbol. But here's the truth: I think Christians sometimes hide behind their religion and use it as an excuse to not accept others, and I am ashamed to be lumped into the same category with these people. 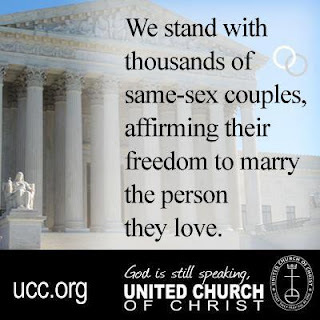 I grew up in a UCC (United Church of Christ) church - not to be confused with a Church of Christ church. The church's motto is "God is still speaking." and we have more liberal beliefs. There were numerous gay couples in the church I grew up in (and there still are), and they were fully welcomed and accepted, along with every other member of that congregation. It was never preached that any sort of love was wrong. There is a male and a female pastor (they are actually married to each other) and they take turns preaching. The church is very progressive in it's thinking and many also use this motto: No matter where you are on Life’s Journey, you are welcomed here. They (I) believe that diversity is a gift from God that should be celebrated, whether it's race, gender, age, economic status or sexual orientation. Sometimes I think that religion is over-rated. The most Christ-like person I've ever met, Luc Gruenther, wasn't involved with organized religion. I don't know what his beliefs were because I never specifically talked to him about them, and now isn't the time to ask Cassy about them either. But I don't think that Luc was a believer. However, he was literally one of the best people I've ever met. He made everyone feel included and important. He took the time to get to know you and he truly cared about you and what you had to say. There was not one single ounce of superfluous nature in that man. He was as genuine as they come and I am proud to say that I knew him. On the flip side, it seems that more often than not, it's the Christians who are judging and condemning each other. They have their views of what's right, and if you don't fit that bill, you need to change to live your life according to how they want you to. I just don't understand it. Not long ago it was illegal for whites and blacks to marry. Now most of us realize how ridiculous that is. I hope it's in the near future that people realize how ridiculous it is to restrict people because of their sexual orientation. And it's really odd to me that it seems as though the same people that think it should be legal to carry weapons, that have enabled hundreds of people dying in mass shootings, are the same people that are so against gay marriage, which, to my knowledge, has never hurt anyone, let alone killed anyone. And no matter what your religious believes are, religion has no business in government. Period. 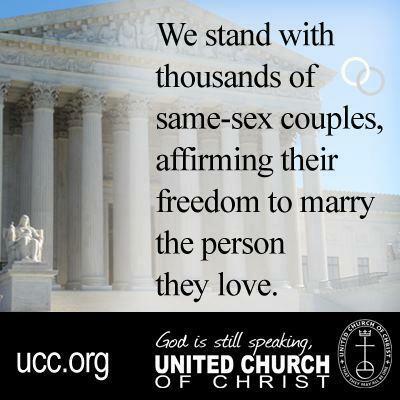 The sad thing is I know many good, kind hearted Christians, who probably support marriage equality, but don't speak out. And in relation to your whites/black thing. Not even 20 years ago, we lived in Oxford, MS where my dad was doing the ROTC program at Ole Miss. I was in 6th grade, and became friends with a girl, who sometime later. I think it may have been at a sleepover, tell me that her church taught her that mixing races was an abomination in the eyes of God. I'm half korean half white. And it has stuck with me. It was my first eye opener that people can twist religion into something hateful. Mostly, I think you rock for sharing your opinion. And I'm glad we agree! Really happy you shared this! In the midst of this movement I have been outraged to see some "Christian" viewpoints that seem to stem from hate and it confuses me. It's great to know there are churches out there who truly treat all as equals! Omg. It's like you took the thoughts out of my head and put them on your blog! This is an awesome post and it's nice to hear someone speak about it. Among everything else, I completely agree that A: You don't have to be a "good" Christian and go to church every Sunday to be an amazing and kind person and B: religion has no place in government. I know I'm really late to posting here, but I've been saving it for when I had time to write. You actually helped form what I've been thinking into something coherent. I also couldn't agree more about Luc and Cassy; I thought that about both of them the first time we met.